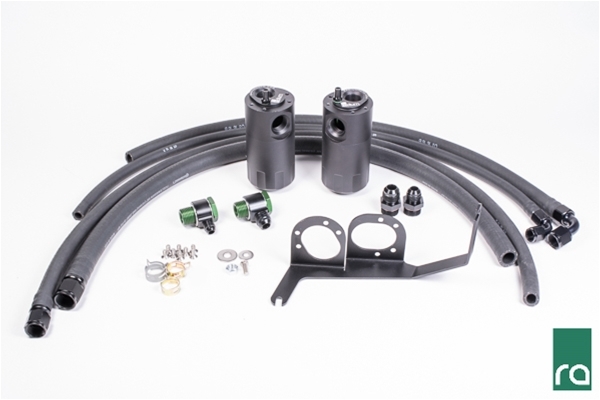 This dual catch can kit is compatible with the 2015+ Subaru WRX (not STi). This kit has not been tested on right hand drive models. 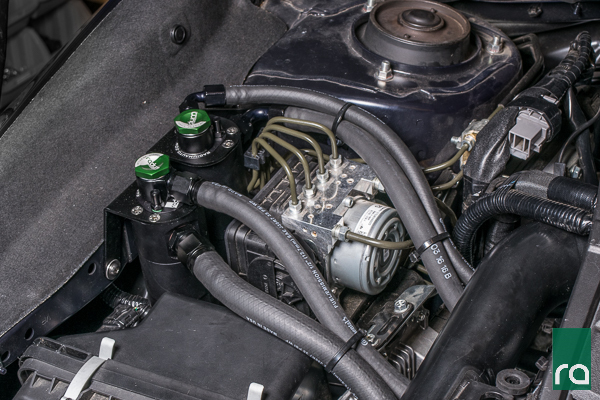 An oil catch can is essential on a performance vehicle to protect the engine from elevated levels of crankcase blow-by accumulated from high performance driving. Excess oil saturated air circulating back into the air intake stream can lead to degraded performance. -Prevents oil buildup in the intake and intercooler system walls, throttle body, intake manifold, etc. This kit is perfect for stock or modified street cars as a preventative measure to keep oil and sludge out of the intake tract, intercooler, and intake manifold. The direct-injected Subaru FA20F engine in particular has an inherent problem since there are no port injectors to clean the backside of the intake valves. 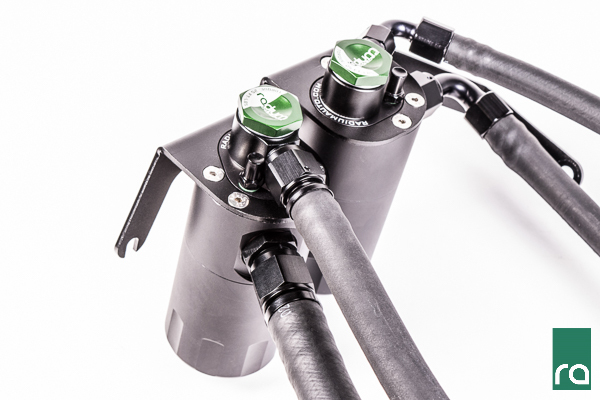 The forward catch can intercepts the crankcase vent line and the rear catch can intercepts the PCV line. 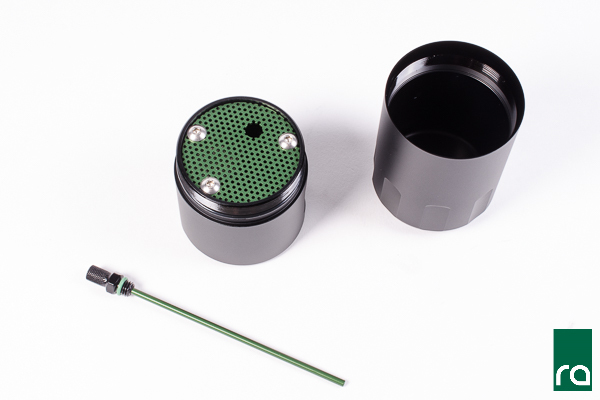 The system is completely sealed and retains factory function of the PCV valve. 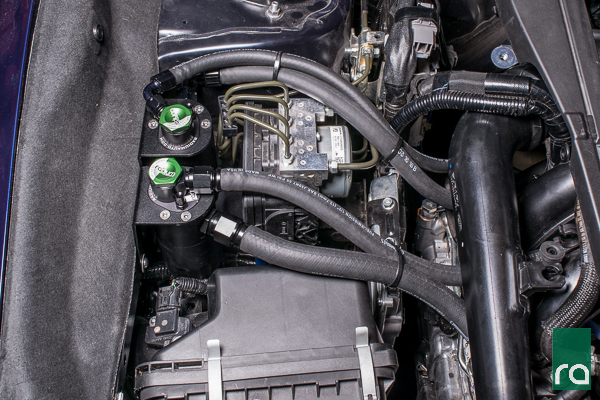 The catch cans are sealed and can withstand pressure in boosted applications when connected directly to the intake manifold. The kit attaches to factory mounting points on the RH side of the engine bay and requires no permanent modification to the vehicle. For vehicles with a large amount of oil blow-by (highly modified, built engine, etc) please see the Radium Engineering AOS kit for the 2015+ WRX. The Radium Petcock Drain Kit is not compatible with this kit. For draining/servicing the catch cans, please consult the installation instructions.